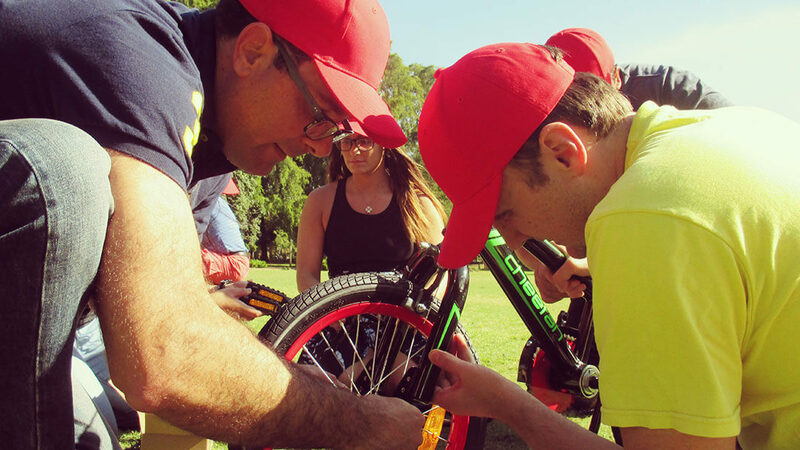 The Bike Factory combines with a mini Amazing Race to earn bike parts, finishing with a focused emotional encounter and a powerful learning opportunity for everyone involved. This is one of our most dynamic team building activities. 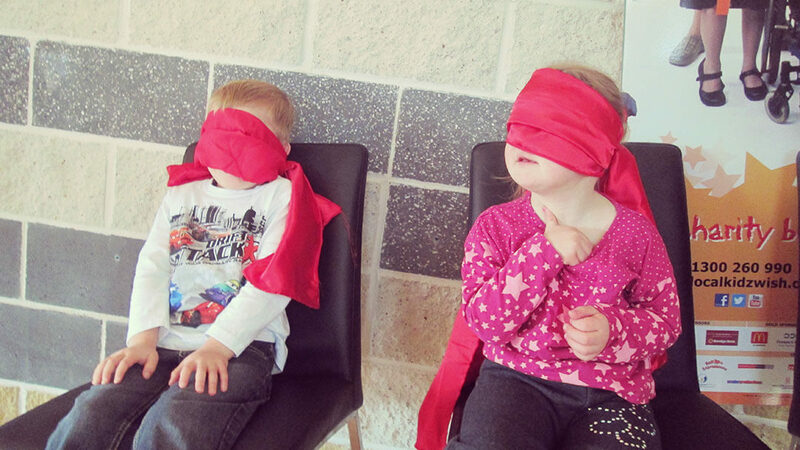 Our clients love our team building activities. Read what they have to say. The Race to the Bike Factory is a fantastic team activity that can be designed to suit your budget and requirements. 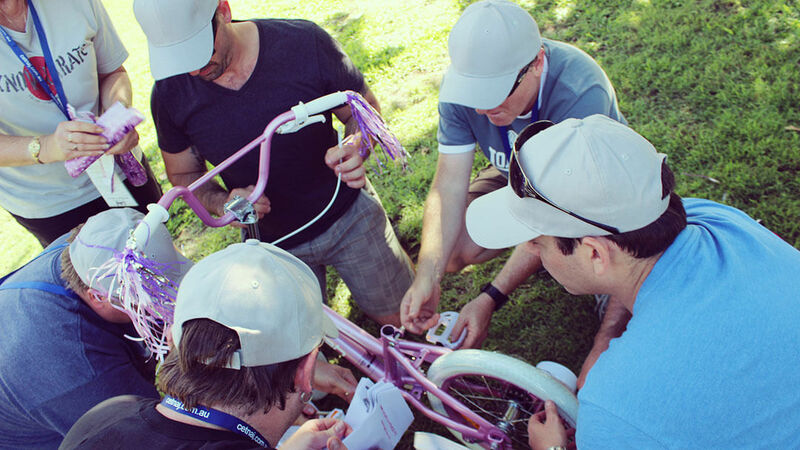 The program involves teams racing around in a modified Amazing Race, completing challenges along the way, and receiving bike parts when the challenge is successfully completed. On the way to The Bike Factory, teams will be tested on their ability to share ideas, collaborate and identify their collective skill set. Once they locate The Bike Factory, teams race to assemble their bike, utilising everything they collected throughout the race, and having to complete additional challenges to earn those parts they missed out on. The adventure includes collaboration challenges, physical challenges, and problem solving tasks, team building challenges and interactive game playing. We use template of The Amazing Race in conjunction with our own team dynamic training, to leave a lasting impression on all involved! We will arrange for children from your (or ours) favourite charity to arrive later in the day to receive the bikes. The best thing is they don’t know they are getting a new bike, and your team have no idea where the bikes will end up. Powerful stuff! This is a great activity to engage your team, and deliver some authentic and powerful messages to all involved. Each event is tailored to suit your group, and we specialise in designing and managing Race to the Bike Factory events Australia wide. Contact us and see how our team building Sydney, team building Melbourne, team building Perth and team building Brisbane teams can design fun team building activities for your team.